I first heard Paddy Fahy’s Reel on Martin Hayes’s CD The Lonesome Touch, and it’s one of those tunes that is quite elusive because Paddy Fahy composed many great tunes but wasn’t given to naming them (see Wikipedia). A good many of Fahy’s (or Fahey’s) very excellent tunes have been beautifully recorded by Dave Flynn on guitar (although these are not this reel) and he gives them a number… but most other recordings just mention whether they happen to be a reel or a jig so it’s hard to tell which one you have found until you hear it. Martin Hayes plays Paddy Fahy’s Reel (not live) on Youtube. Very nicely played on a mandolin by Tosh Marshall. And Noah and Lucas played Paddy Fahey together last summer at a reasonable pace. 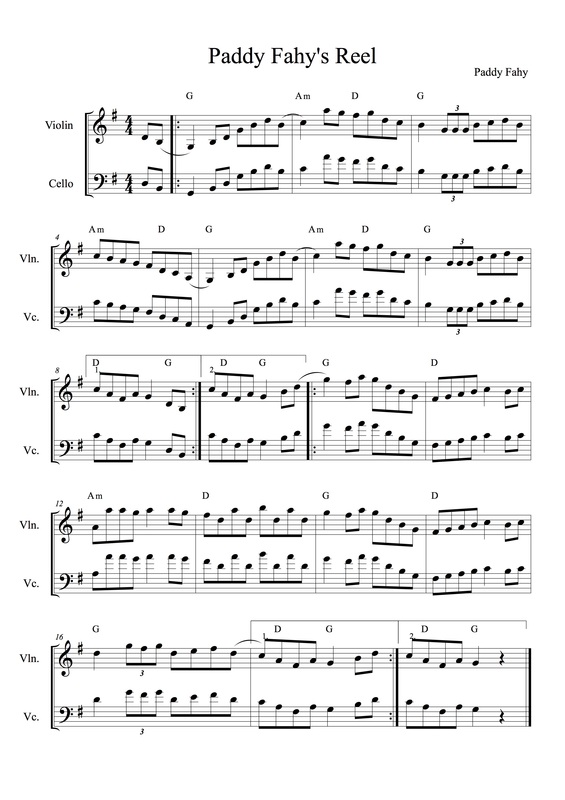 It’s an unusual tune because it has a large range in one phrase. I’ve only been able to learn it since I bought a 5-string violin and even then it has taken me more than a month to learn it. 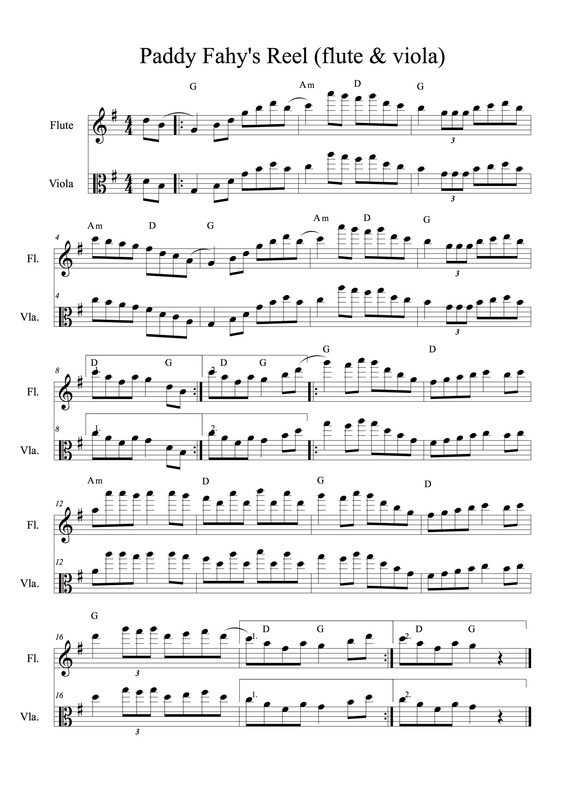 I’ve transposed it for the flute, viola and cello but I’m not sure how playable this is! I think we may have to work out a new arrangement to include other instruments. As a flute player I would find this too high. I have tried to come up with what i think is flute friendly. What is the best way to send it to you?